– this is called the Zip Merge rule. – this is just like any other lane change. Further information can be found on Page 22 of the Tasmanian Road Rules. 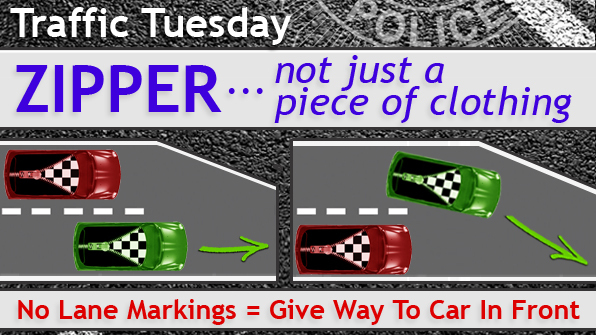 This page -- https://www.police.tas.gov.au/what-we-do/traffic-policing/traffic-tuesday/3-zipper-01-nov-2016/ -- was last published on November 15, 2016 by the Department of Police, Fire and Emergency Management.